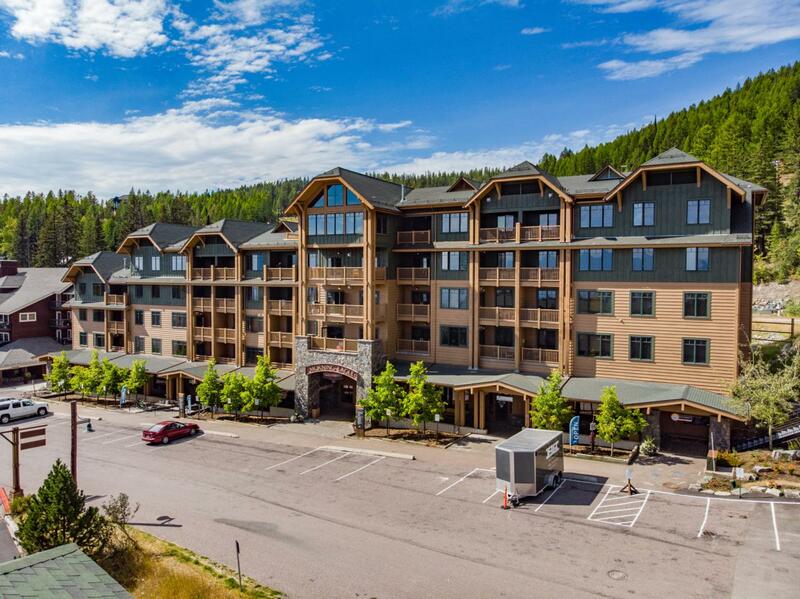 This 1 bedroom unit is located in Whitefish Mountain Resort's premier slopeside condominium Morning Eagle. SKI Magazine ranked Whitefish Mountain Resort highest in overall customer satisfaction for the 2019 season. With 333 inches of snow, 3000 acres, and 105 runs, topped off with amazing Glacier Park views and local Montana hospitality, it's easy to see why! Enjoy ski-in/ski-out access to the resort, underground heated parking, ski locker, rooftop patio with BBQ and hot tub, and fitness area. The furnished unit has granite counter tops, stone fireplace, his and her sinks, tile flooring, and solid alder doors, cabinetry, and trim. HOA fee covers all utilities. For more information call Tory Baughan at 406-210-2425, or your real estate professional! Listing provided courtesy of Tory Baughan of Montana West Realty. © 2019 Montana Regional MLS. Information is provided exclusively for consumers personal, non-commercial use and may not be used for any purpose other than to identify prospective properties consumers may be interested in purchasing. Information is deemed reliable but not guaranteed and should be independently verified. Data last updated: 2019-04-24T00:19:17.767.